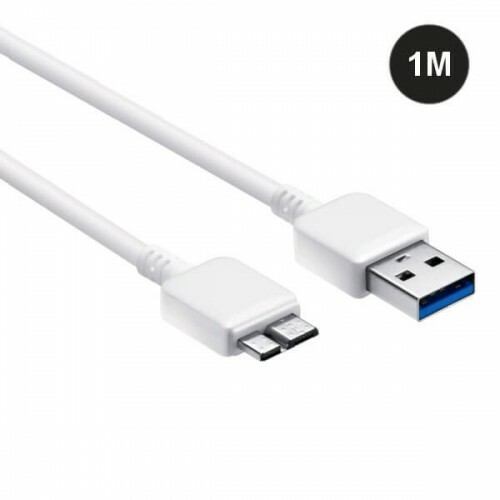 USB Data Cable for Samsung Smartphone that applied the Interface of USB 3.0. Phones such as Galaxy Note 3 and S5 use this cable. Our Galaxy USB 3.0 Data Cable is designed to quickly sync photos, music, videos and any other files from your Samsung Galaxy phone to/from your computer or laptop. • This cable is 1m in length. • The cable colour is white.